This lovely little shorts and t-shirt set by Lilly and Sid is the perfect summer outfit for a little one. The t-shirt is green with navy trim to the neck and a colourful donkey and ice cream applique on the front. Poppers at the shoulder allow for easy dressing. The shorts feature allover navy and white stripes with an elasticated contrast green waistband. There is a red and white striped pocket on the left leg. 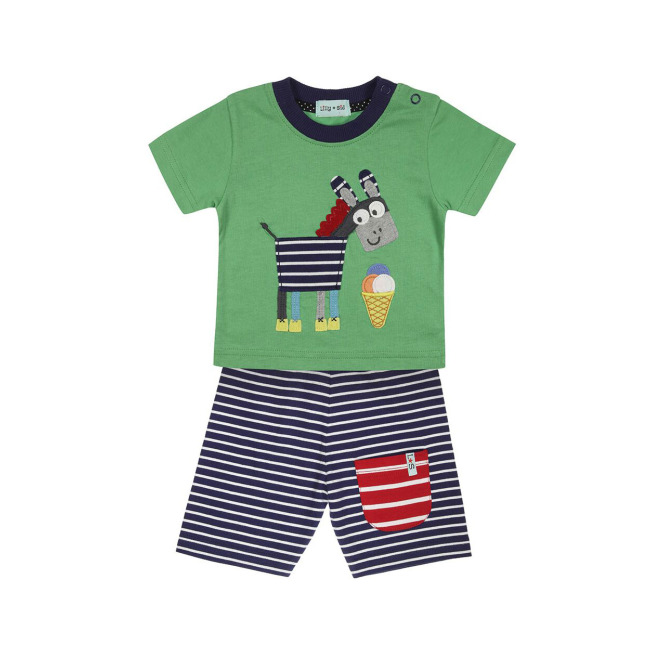 The Lilly and Sid Donkey shorts set is made from 100% soft natural cotton.